Our friends the honey bees make it possible for us to devour an abundance of almond products. In 2016 the California almond crop totaled 2.15 billion pounds valued at $5.2 billion. Growing 80 percent of the world's almonds in California takes a lot of honey bees for pollination, roughly two hives for every acre of almond trees. It's estimated that California has 1.3 million acres of almonds, stretching 400 miles between Bakersfield and Red Bluff. California is rated in the top five honey producing states in the nation. 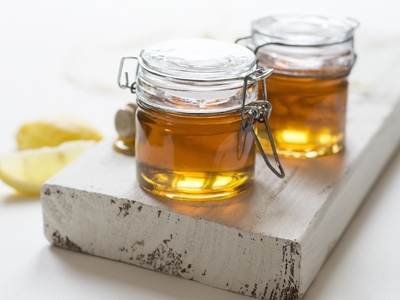 The U.S. per capita consumption of honey is around 1.3 pounds per year. Our buzzing friends visit millions of blossoms, making pollination of plants possible and collecting nectar to bring back to the hive. Lucky for us bees make more honey than their colony needs allowing beekeepers the opportunity to remove the excess honey and bottle it for us to enjoy. Bees are one of our planet's most important animals. They produce honey and they are the primary managed pollinators for a majority of high value specialty crops grown in the contiguous states of California and Oregon, such as nuts, stone fruits, vegetables, and berries. A problem looms for our animal friends, the bees. Colony losses are high due to a variety of environmental and biological causes including bacterial diseases. 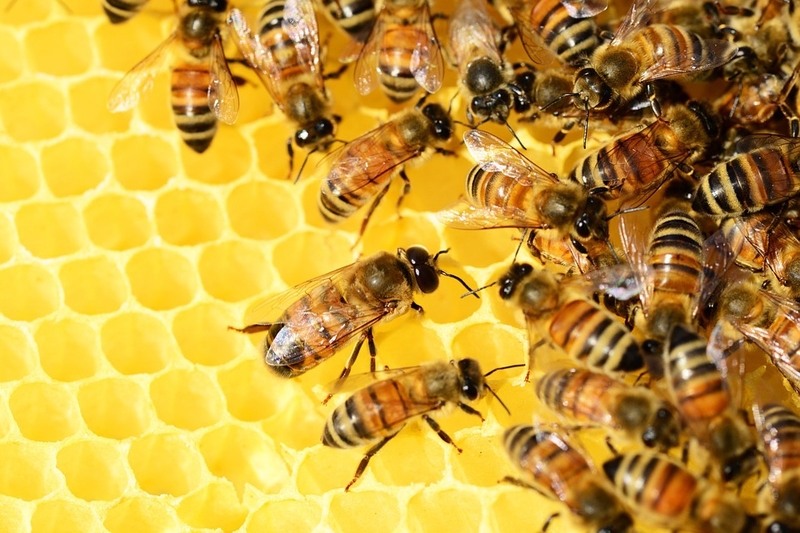 Historically, beekeepers have self-prescribed antibiotics to control these diseases. Enter UC Davis and Oregon State University to aid beekeepers in addressing the problem of antibiotic resistance and antimicrobial use in the feed or water of food-producing animals, namely, protecting the health and safety of bees. The overall strategy leads to a safer food supply because the potential for antibiotic resistance is reduced. The Western Institute for Food Safety and Security (WIFSS), UC Cooperative Extension, and UC Davis School of Veterinary Medicine are partnering with Oregon State University in a USDA funded multi-state specialty crop project to develop CE training for veterinarians on bee health and antibiotic use — a practice that is now regulated under the Veterinary Feed Directive (VFD). The project will offer a comprehensive bee biology online course and train-the-trainer practical training for veterinarians and apiculture educators. The ultimate goals are to protect the specialty crop — honey — from becoming contaminated with antibiotic residues; to protect the health and safety of bees, which are essential to California agriculture; and, finally, to support veterinary oversight in the use of antibiotics, which will lead to an overall reduction of antibiotic resistant bacteria in the environment. The $483,278 award will address the unique needs of the beekeeping industry that have been experiencing high colony losses since 2006. It will also focus on new rules established by the U.S. Food & Drug Administration on the use of antibiotics which are used to control certain diseases affecting bee colonies. The principal investigator is Elina L. Niño, a UC Cooperative Extension specialist with the UC Davis Department of Entomology and Nematology. Project leader is Bennie Osburn, director of outreach and training at WIFSS. Collaborating in the project is Jonathan Dear, from the Department of Medicine and Epidemiology at UC Davis School of Veterinary Medicine, and the partner state collaborator is Ramesh Sagili from the Department of Horticulture at Oregon State University. A team of graphic and instructional designers from WIFSS will work with Drs. Niño, Dear, and Sagili, to translate the science into user friendly information for veterinarians and beekeepers. 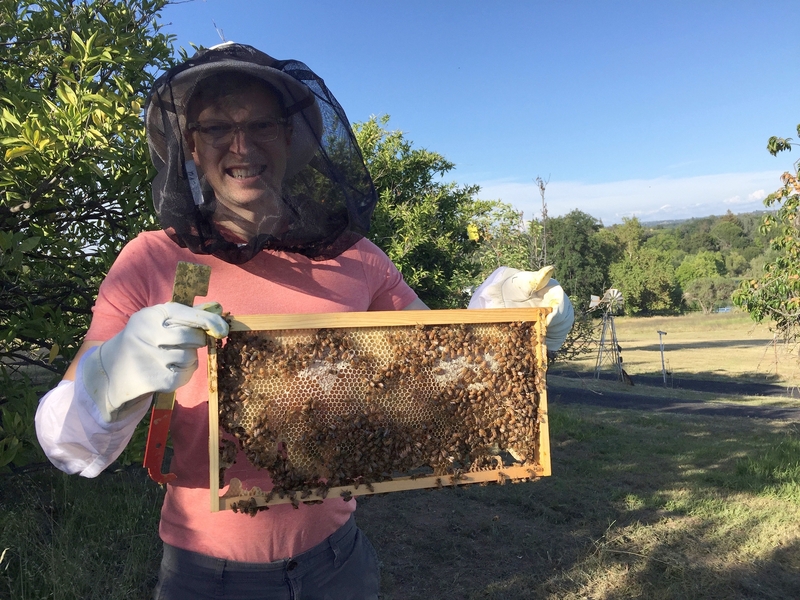 Jonathan Dear, a small animal internal medicine veterinarian and hobbyist beekeeper, holds a frame after inspecting a hive. With the efforts of extension specialists, veterinarians, and graphic and instructional designers, beekeepers and veterinarians will work together to navigate the VFD regulations, and consumers will continue to enjoy nature's sugar.